It’s almost time for March Madness! 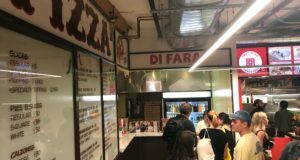 And while brackets featuring pizzerias instead of college basketball teams are prevalent around the interwebs, I was intrigued when Franny’s (348 Flatbush Avenue) announced their take on March Madness. 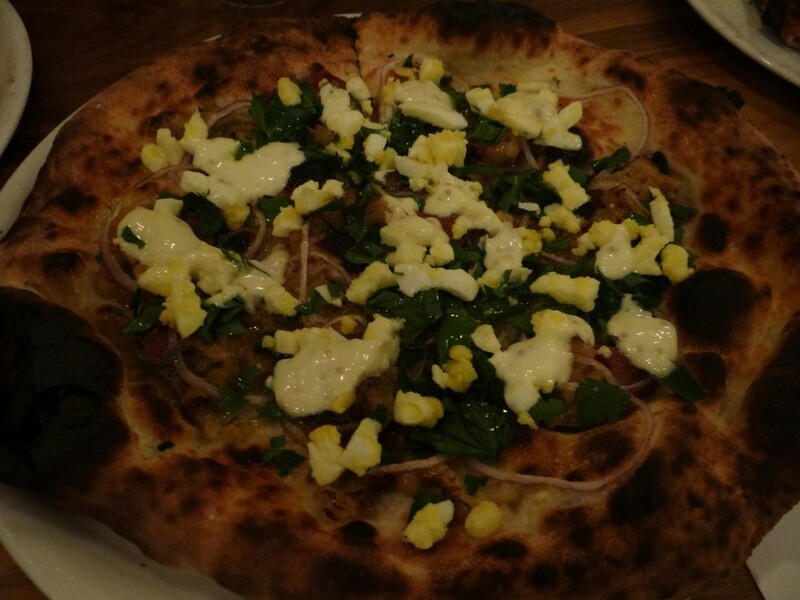 Tonight (Monday), they unveiled a special pizza menu featuring 16 never-before-made pies – the Sweet 16. 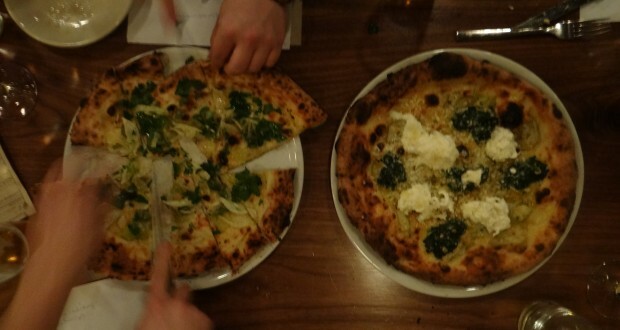 The topping combinations on each pie were created by a different Franny’s chef (and one from Franny herself). At the close of service, the number was reduced by half, based on sales. 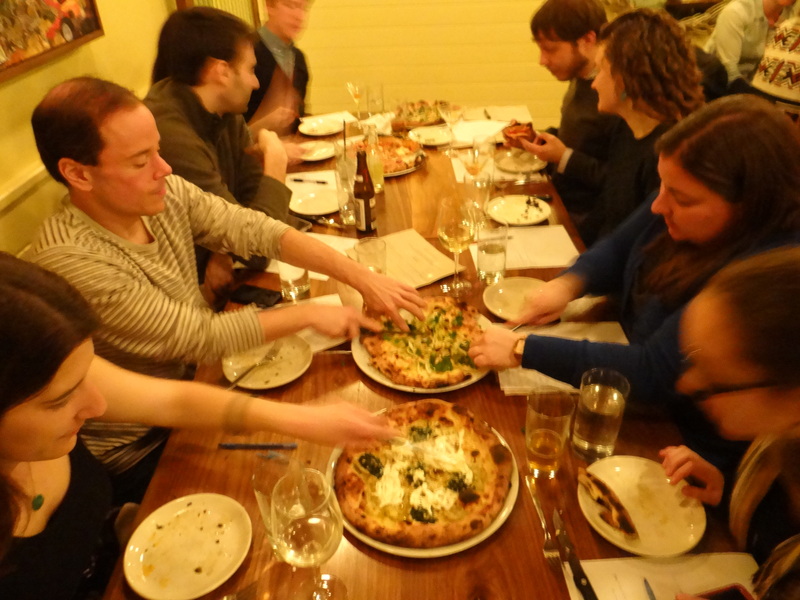 The Elite 8 will be tomorrow (Tuesday), the Final Four on Wednesday, and the Championship Pizza Showdown on Thursday. 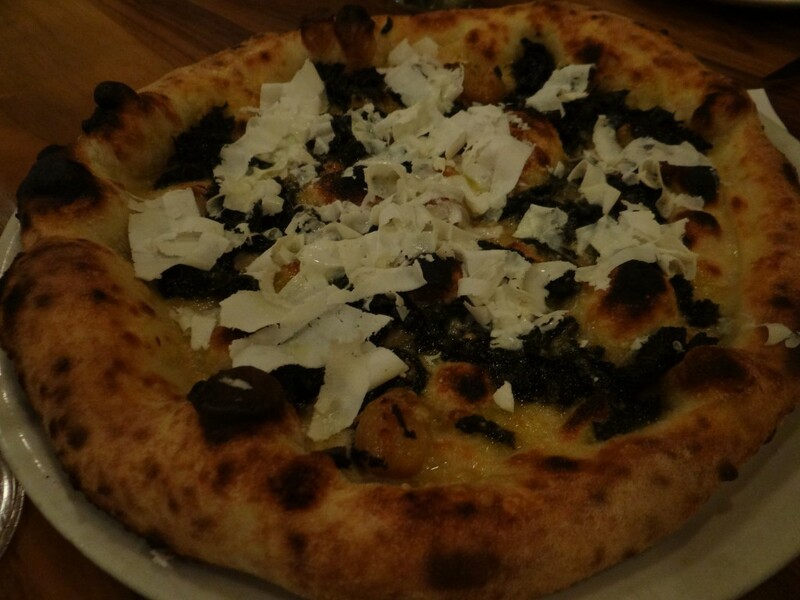 The most ordered pizza of the week will remain on the Franny’s menu through the month of March. When I heard about this, I felt compelled to try them all. So I gathered a group of friends and tonight we tried all 16 pies on the Franny’s menu — the only night all 16 would be available. And if that wasn’t enough — we created our own March Madness bracket and ranked them all ourselves. But first, a little background on Franny’s. 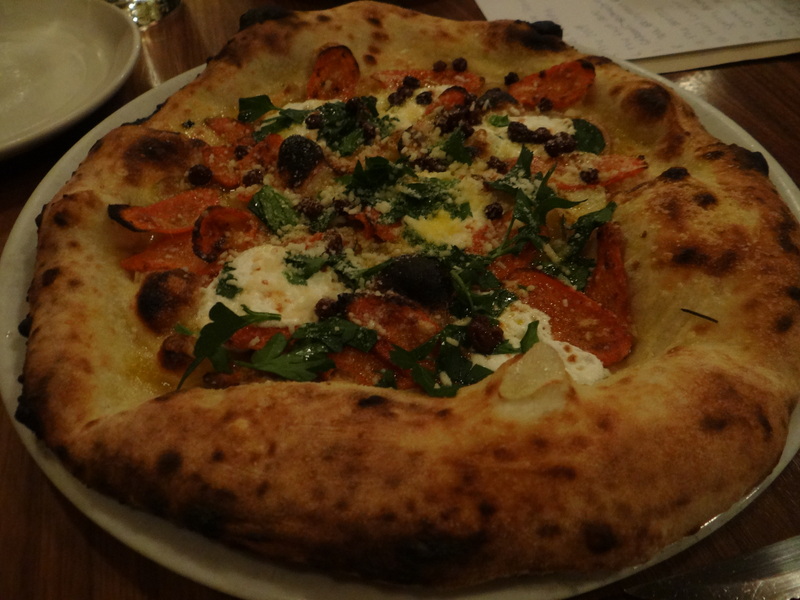 The spot is a pioneering Brooklyn pizzeria which opened its doors 10 years ago. 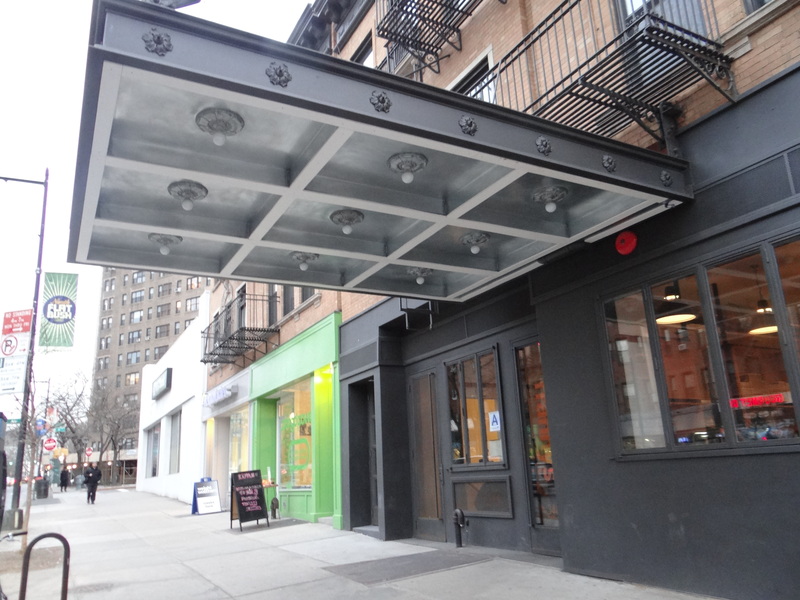 After a successful run in its original space, they relocated a few blocks away last year. Now they have a bigger space to accommodate the crowds that often wait hours for a table. Our group of 10 was seated downstairs in their semi-private room along with a couple of other large parties. Before we placed our order (one of everything, please!) each of us wrote down our personal rankings for what pies we thought we’d enjoy the most (you know, similar to AP pre-season college rankings). 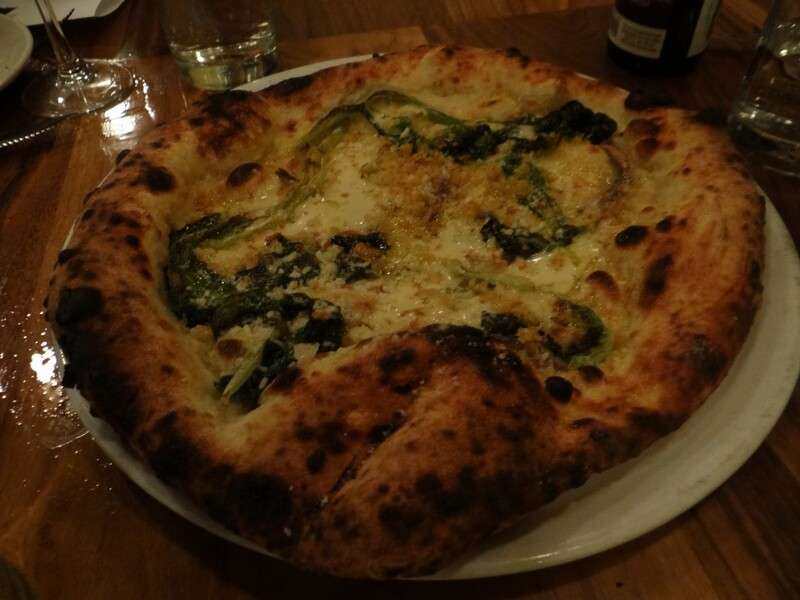 The pie I was most looking forward to was a “Spinach Artichoke Dip” pie featuring spinach, artichokes, chilies and stracciatella. 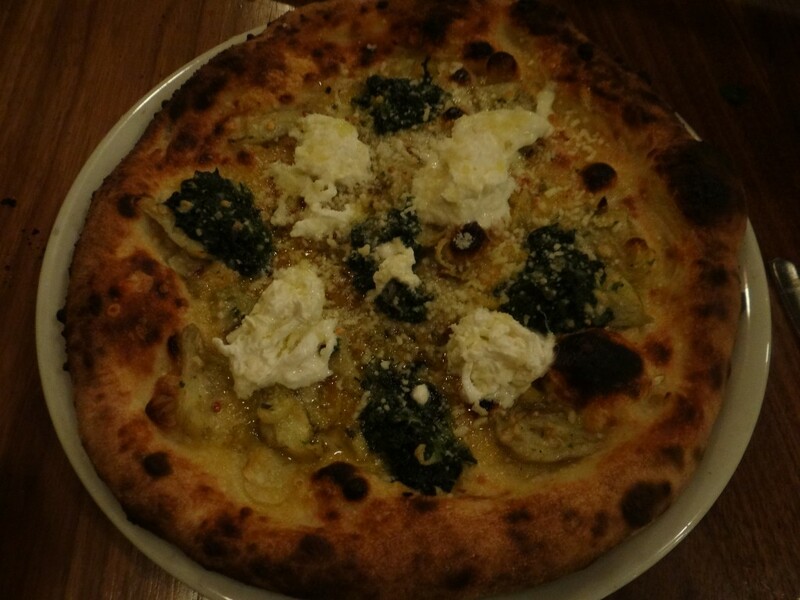 Most people have had Artichoke’s “artichoke” slice (yuck), but I’d never had a spinach and artichoke pie at an upscale, Neapolitan-type place before. So I was intrigued. If there is one topping I just can’t seem to enjoy on pizza it’s anchovies. 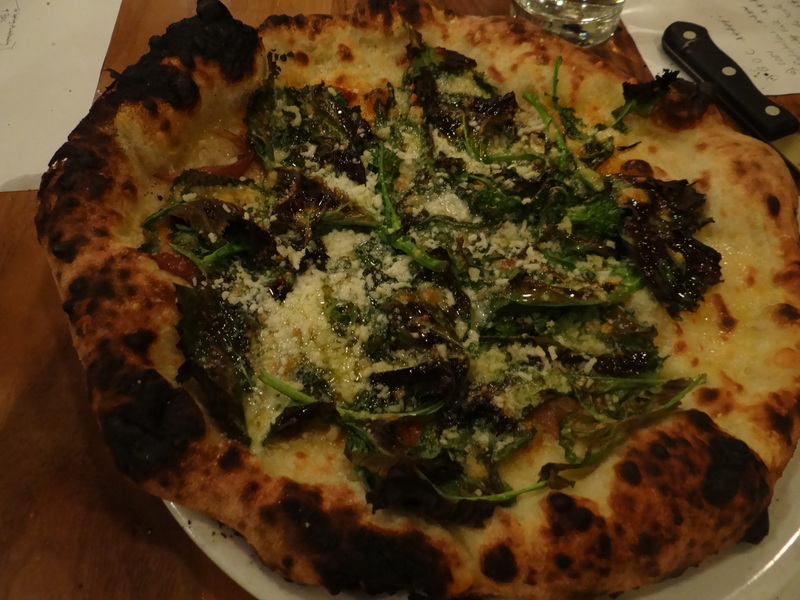 So at the bottom of my list were two pies that contained them: The “Don’t Blame The Scarole” which features grilled escarole, anchovies, garlic, capers, and grana padano, as well as the “Hail Ceasar” pie which features wood-roasted romaine, garlic, anchovies, and beef fat vinaigrette. Also of note: there were many crazy ingredients that were featured on these pies. The chefs at Franny’s really went out of their way to create unique topping combinations. There was beef heart, calabrian chilies, spicy carrots, dates, cauliflower, pork shoulder, and pickled beets to name a few. 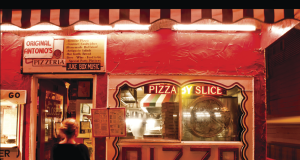 Sometimes when a restaurant has 15 or 20 pies on its menu, many of them only differ by a topping or two. I can confidently say that no two pies at Franny’s tasted remotely the same. 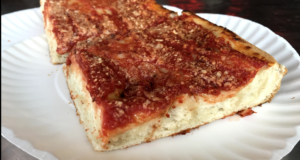 Before we get to the pizza, let me explain how we ranked them. Everyone kept track the pies throughout the evening. At the end of the night each person ranked the pies from 1st to 16th. A #1 ranking was worth 16 points… a #2 ranking was worth 15 points… and so on… down to a #16 ranking which was worth 1 point. We then added up all the points for each pie and declared a winner. Since there were 10 of us, the maximum points a pie could potentially receive was 160 (if everyone had the same favorite). This was the least favorite pie overall. I wasn’t quite as harsh. I think everyone just had really high expectations for this pie. I think people were expecting delicious globs of spianch artichoke dip. 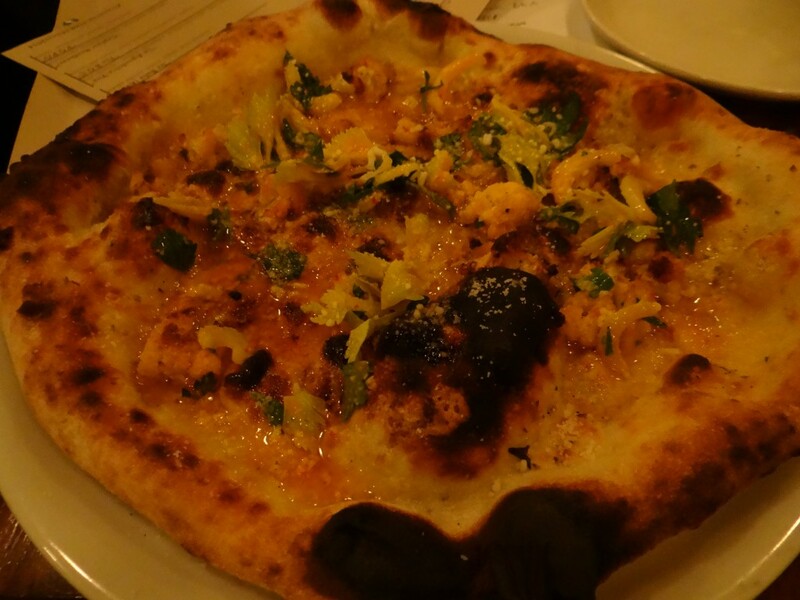 The cheese on this pie also overwhelmed some of the other ingredients. 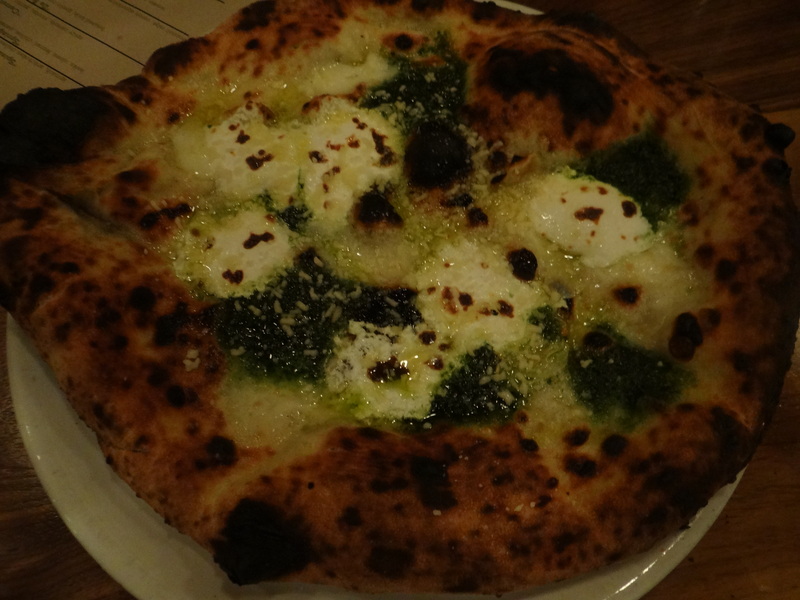 This is another pie I really liked that underwhelmed the group a bit. While we weren’t judging these on the crust necessarily, I thought this one was particularly soft and chewy. It was a simple pie. Super creamy. I could have done with a little less ricotta. But I was still a fan. 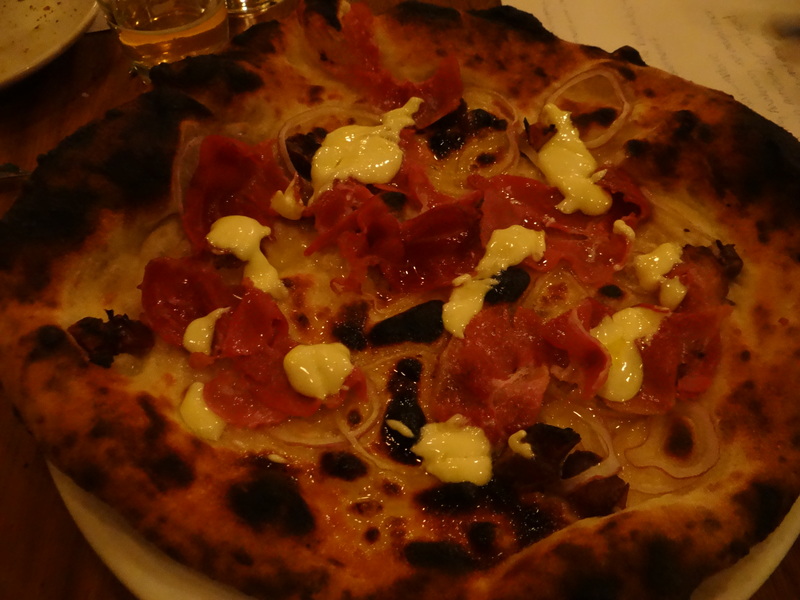 I really like the idea of putting beef heart on a pizza. I’ve never seen that before. Some people described this as having aspects of a corned beef sandwich. This was the second to last pie served and I think I was hitting my wall at this point. 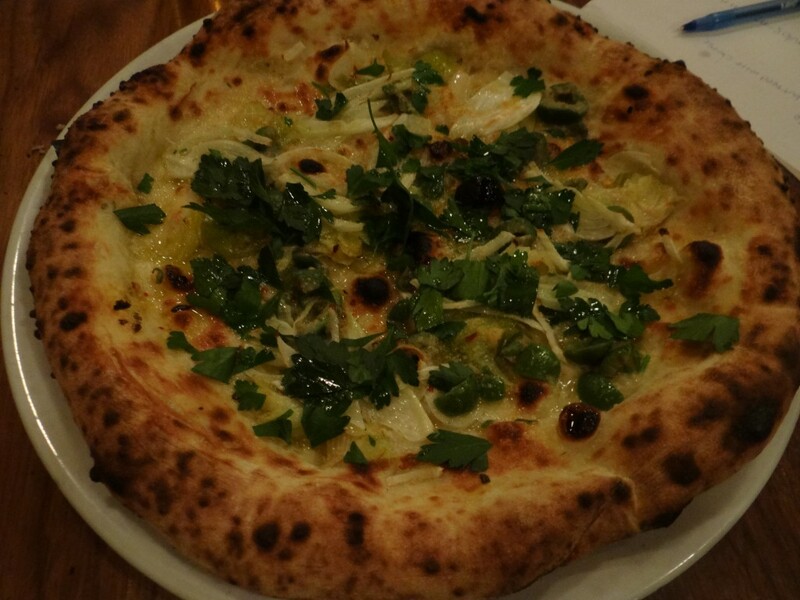 The horseradish mayo was too heavy for me to take in — and doesn’t belong on a pizza. Thoughts: As I previously mentioned, I hate anchovies. But my review of this pies is given with that aside. This had properties of a cesar salad (hence the name) and I thought it was valiant effort at a new take on a pizza. I’d just prefer it without anchovies. I wanted more from this pie. It reminded me of spring with all the greens on it, but it lacked that “melt in your mouth” flavor. 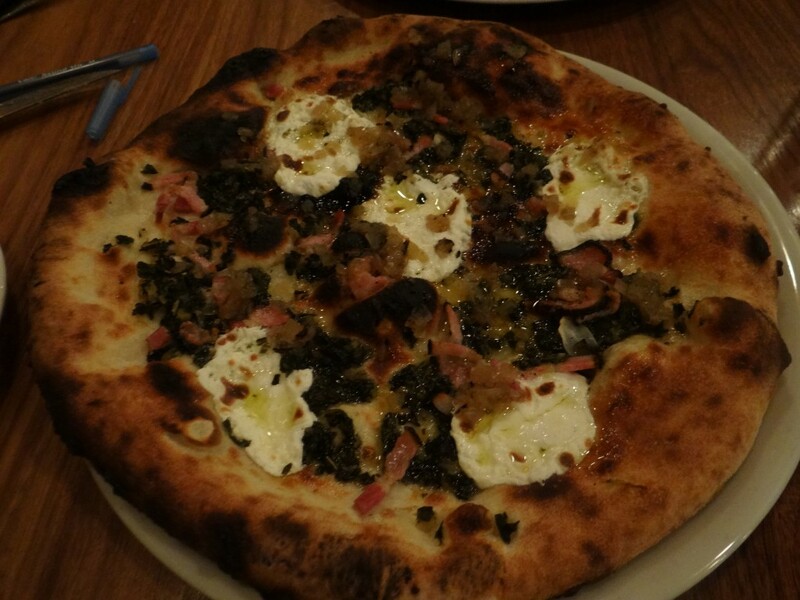 It could have used some fresh mozzarella or another cheese to give it some more balance. Colatura, by the way, is an anchovy-sauce. I really enjoyed this pie, despite its low ranking. Of note, was a nice kick from the chilies. It was a little oily, but other than that there wasn’t much to dislike about this. When I bit into this pie, I thought there was cheese on it. But nope — that was mayonnaise. I won’t go so far as to say it doesn’t belong on pizza. But it was a bit too much for me. I would have preferred more dates and some cheese. This pie would win the award for best looking. 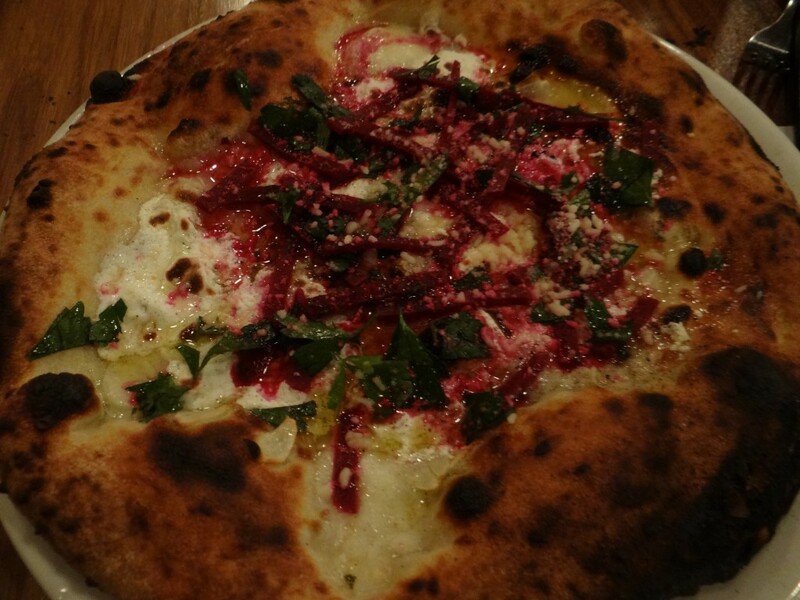 A really pretty pie and a winner if you love beets. I feel ambivalent towards them, hence my average ranking. This was the first pie we were served. Kale was definitely the predominant flavor on it. 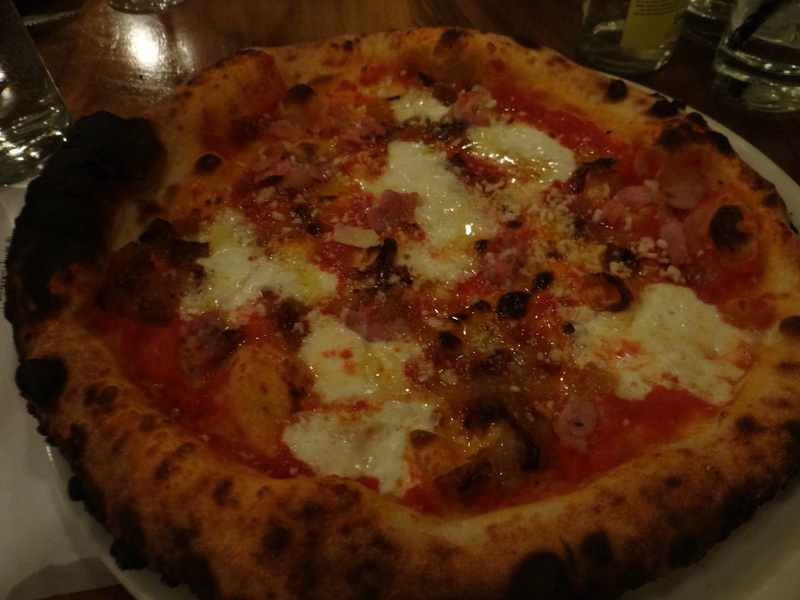 It was one of the more simple pies we had, but sometimes the most straightforward pizzas are the best. This was comparable to the kale pie, but had many more flavors going on. I enjoyed the caciocavallo cheese and the chiles on this gave it a kick. It wasn’t overly heavy on the broccoli rabe — which took a back seat to some of the more exciting ingredients on this pie. This was one of the most surprising pies of the night in my opinion. I don’t love actual pickles, but I enjoy pickled vegetables and the pickled kale was not overwhelming on this pie at all. 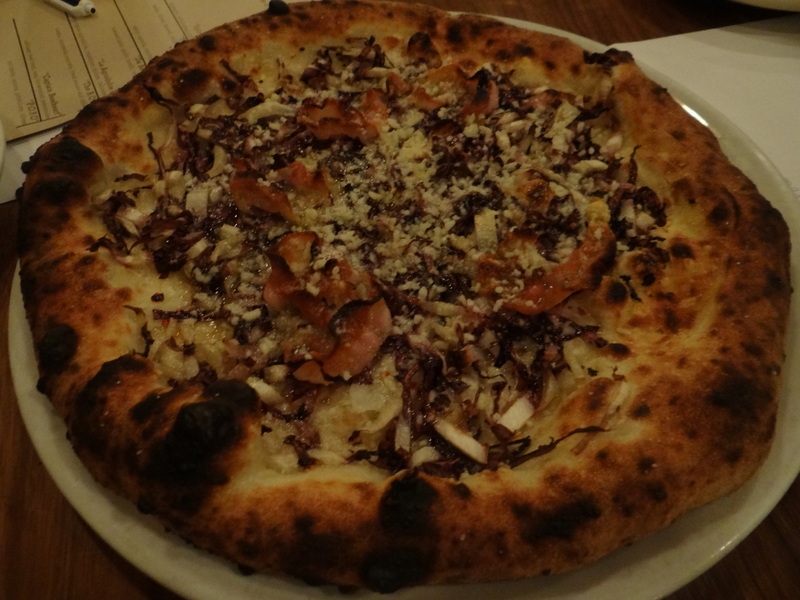 It rare to see anything pickled on a pizza, but this one was a hit. Another simple, pie just done well. I noticed that the crust on this pie was cooked better than some of the others. 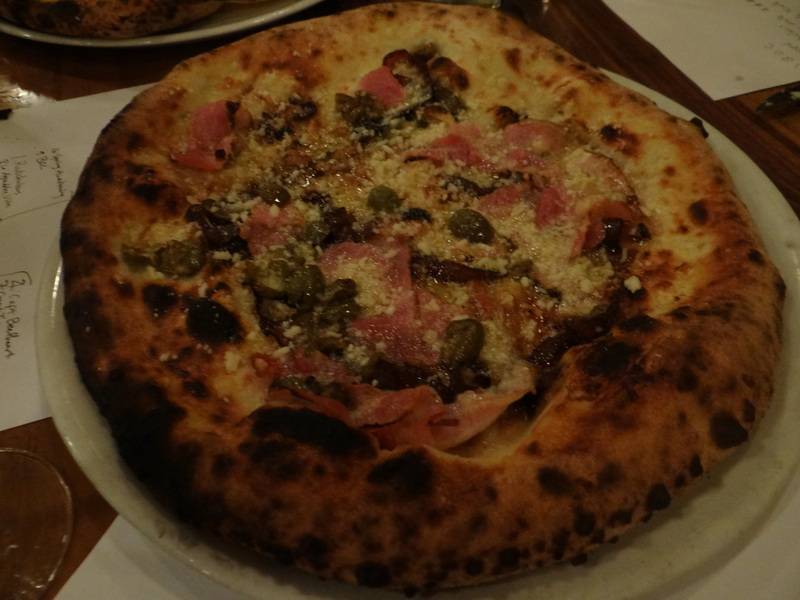 And there were not too many olives on the pie (which I’m averse to). Another win for simplicity. Have you heard… carrots are in? I hope we see more pies like this popping up in NYC. It featured spicy, shaved carrots which were cooked before being put on the pie. The cheese was great. The garlic. Currants. Everything about this pie was a winner. This pie had rave reviews across the board and I agreed with my fellow diners that it belonged at the top of our list. Once again, there was nothing too complicated going on here (no mayonnaise!). I have a bias towards pies with cooked onions and this really hit the mark. Although I didn’t love this as much as my friends, this was the overall winner on the night. I thought it lacked flavor, but with 16 pies on menu for the evening, it’s possible I didn’t have time to sit back and enjoy this as much as some of the others.